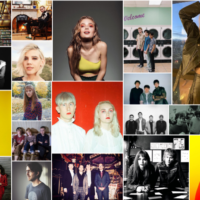 The Matinee ’18 October 8th includes 6 awesome new tracks for your listening pleasure today. We have a nice mix of pop on the matinee today and we hope you find your new favorite song or band today. Artists are representing Canada, Norway, Sweden and The US today. “Teenage Rockstars” is the newest track from Andrew McMahon In The Wilderness. The new anthem filled track is for every young artist that got a high-school garage band together as well as all the future aspiring rock stars out there. 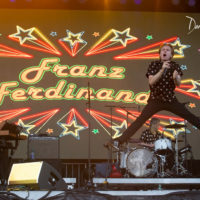 The single has a nice nostalgic feel and the piano adds a wonderful element that helped the teenage band he’s mentioning in the track (Something Corporate) gain a following. The video includes actual footage from those days and is a great reminder to take a few chances in life and see what happens. 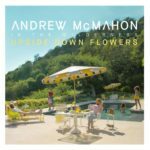 “Teenage Rockstars” is from Andrew McMahon In The Wilderness’ new album, Upside Down Flowers, arrives November 16th via Fantasy Records. “If Your Eyes Could Talk” is one of the singles from Jessie Munro‘s debut EP. Her captivating vocals are filled with emotion and soul. The single includes a wonderful mix of jazz, R&B as well as soul. The lyrical content on “If Your Eyes Could Talk” tackles a relationship that is more than likely headed for a breakup. The track is definitely one to spin if you need to bring your mood into a relaxed state. Jessie Munro is just twenty two years old yet she is producing singles that definitely surpass her current age. Ms Munro found her start in classical music and musical theater and later went on to attend the prestigious Berklee College of Music, propelling her songwriting abilities and giving her the musical maturity which is evident throughout her music. Her debut EP offers up 6 moving singles that will hopefully gain traction within the r&b/pop community. Munro’s debut EP, On My Own, is out now and available on the usual streaming platforms. 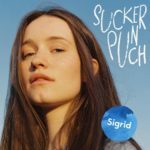 “Sucker Punch” is the newest track from Norwegian star Sigrid. It’s super infectious and speaks to the point when you realize that the someone you are interested in is definitely getting serious. 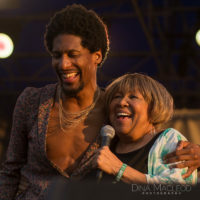 The lyrics tackle all the emotions surrouding a new relationship including “I’m freaking out – I’m scared this might end bad, but I keep coming back for that sucker punch”. Sigrid’s vocals on her newest single are playful yet commanding and continue to prove her talent in creating addictive pop tunes that force you to hit repeat. 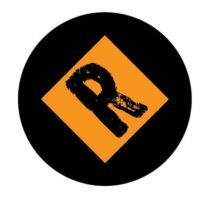 “Sucker Punch” is out on Island Records UK. 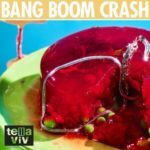 “Bang Boom Crash” is the newest single by Swedish art-pop band Tella Viv. The track is super infectious and includes a nice mix of psych and surf rock on their newest offering. The vocals you definitely won’t forget as the single includes talking, shouting, whispers and even a bit of mumbling. The killer bass line anchors the track and will probably stick with you for days. The single is out on Bolero Recordings, who will release the band’s debut album in 2019. Tella Viv are Carl Hjelm Sandqvist, Benjamin Lavén, Fredric Lindblom, and Marcus Lindblom. 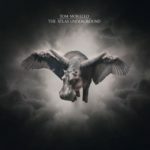 Tom Morello (Rage Against The Machine, Prophets of Rage, Audioslave) has been releasing new singles from his upcoming album. “Every Step That I Take” is the newest collaboration, this time with Portugal, The Man & Whethan. 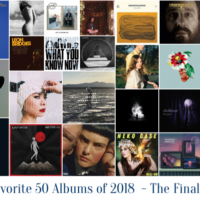 The track combines Mr. Morello’s astounding guitar skills along with hypnotic beats provided by DJ Whethan and vocal’s by Portugal, The Man’s Johnny Gourley. It’s more than just a catchy radio ready single, the meaning is much deeper. Other than being a tribute to Chris Cornell, Mr. Morello takes it a step further and has teamed up with SAVE (Suicide Awareness Voices of Education) for this single to help bring more awareness regarding suicide and hopefully demystify the stigma surrounding mental health issues. Morello’s new album, The Atlas Underground, is out this Friday, October 12th via Mom + Pop Music. “Side Eye” is the newest track by LA based artist TRACE. 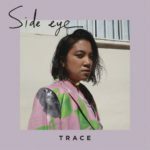 TRACE has been making a name for herself lately even though she has been around music her entire life (her mother is Vietnamese pop singer Carol Kim). Her newest track is simple with a nice trap beat that is sprinkled with acoustic guitar and TRACE’s sugary vocals. It’s definitely a single you can swiftly add to your laid back playlist. The lyrics speak to taking care of your own life by not allowing anyone else to control or influence it as she sings “I’m not here to make you feel good”. “Side Eye” is out now on Ultra Music.